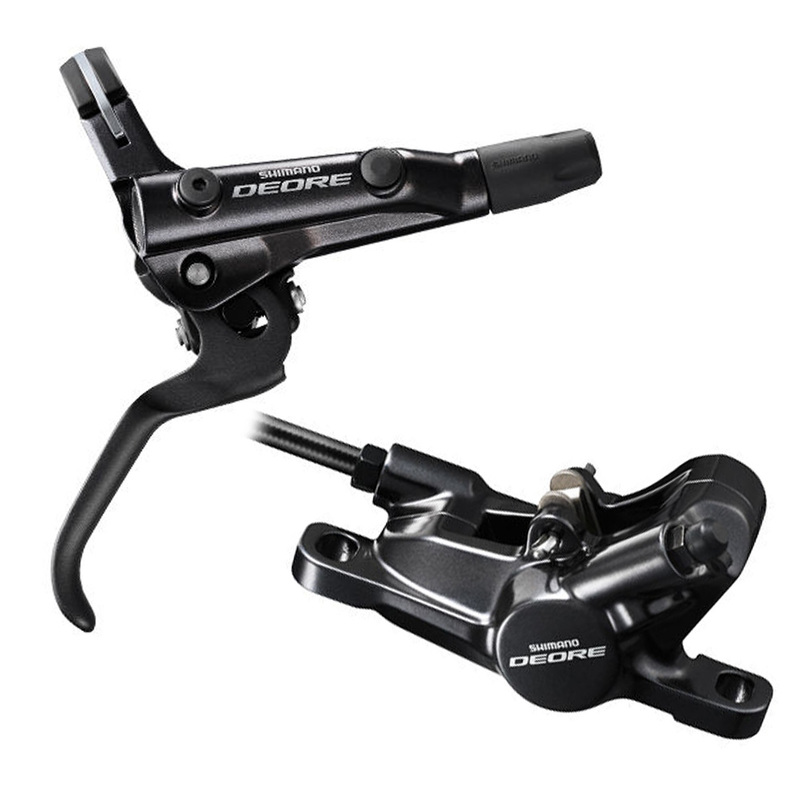 Shimano Deore M6000 disc brakes, front & rear set. Shimano's latest Deore M6000 disc brake. Offering the same design as the SLX and XT brakes at an excellent price point. Caliper: BR-M6000, supplied post mount. Braackets can be purchased to fit any size rotor and for IS mount. Hoses: SH-BH90-SS, can be easily cut to length to get the perfect fit. Supplied without rotors, can be used with any off the current Shimano MTB rotors. Supplied Bled and ready to fit.